Evgenij Stojka and his wife Elena are neo-nazis living in the outskirts of Kiev, Ukraine. 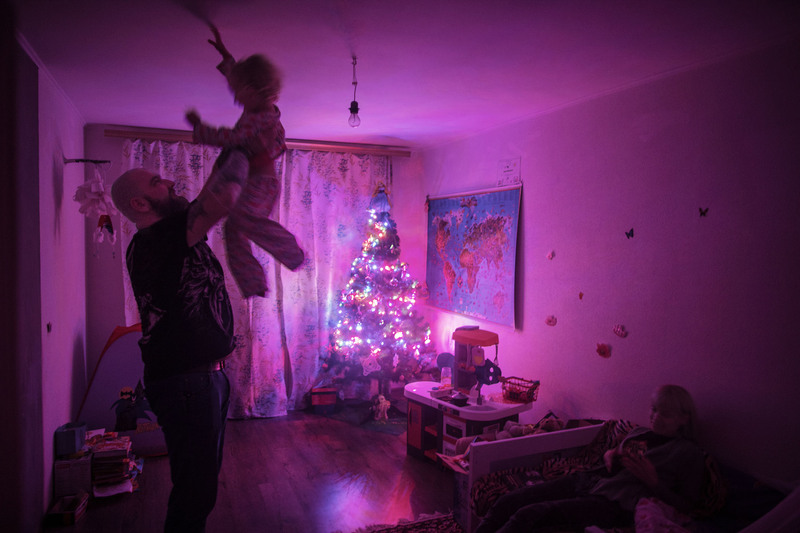 Evgenij plays with their daughter befor she goes to bed. - I got interested in the nazi movement and Adolf Hitler when I was 14. I joined the skinheads, and later I became part of the hooligans in Kiev, says Evgenij.